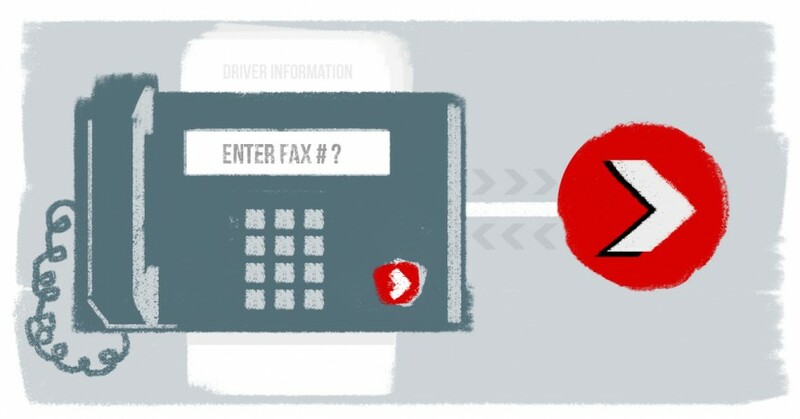 What’s Free and Better than 11,000+ Trucking Carrier Fax Numbers? To hire a driver, a carrier has to inquire of all the other carriers a driver has worked for in the past three years. We would love for all those inquiries to be made via Xchange, but until that day, they most often take place via fax and include a signed release and a form asking for specific driver data. With some big carriers, it’s easy to know where to send the request. Whether by fax or some other way, the prospective carrier has likely hired a driver who has worked there before and made the same inquiries. But there are a lot of carriers — I mean, a lot of carriers — 20,000 to 30,000, depending on which list you believe. In the case of a smaller carrier, prospective carriers first have to determine the proper request method (fax, Xchange, etc. ), then, if necessary, find the correct carrier fax numbers. What sounds like a trivial job at first — sending the prior employer a fax — can turn into a really time-consuming task. We made the Tenstreet directory available for free to all carriers — no strings attached. So, a few years ago, we decided to do something to help the industry. We made the Tenstreet directory available for free to all carriers — no strings attached. To be sure, we don’t have every carrier yet. But we have over 11,000 and are adding to that number daily. Specifically, the list of Xchange Network Providers is growing all the time. They are listed along with all other types of providing methods. If your company isn’t listed or you have a list of companies you’d like to share, we’d be appreciative and happy to add them to the list. If you’d like to become a network provider, there’s a button for that as well. Josh Mecca, Director of Recruiting at American Central Transport, shares how they have benefited from Tenstreet's Origins.